Disney World has many beautifully themed resorts and when you stay at one of them you'll have access to their amazing pools. From the sand-bottomed, shipwreck-themed Stormalong Bay at Disney’s Beach Club Resort to the Finding Nemo themed, zero-entry Big Blue Pool at Disney’s Art of Animation Resort, there is no shortage of great options to choose from when you're ready to cool-off after a day in the parks. But, what exactly are the pool rules and can you use a pool at a resort other than yours (pool hop)? Can you pool hop at Disney World? So, how would Disney even know if I was pool hopping? Are there life jackets available at the pools? Are the pools open year-round? Are the pools at Disney World heated? Does Disney have any cabana rentals? Are there toddler pools (or splash pads) available? Are the pools open 24 hours? Can I use toys like pool noodles while swimming? What is the difference between a "feature pool" and a "quiet pool"? If your child is still in diapers, they must wear swim diapers or plastic pants. Food and drink must be consumed on the pool deck; no food or drink allowed inside of the pool and no glass containers or bottles of any kind are allowed on the pool deck. Moderate and Deluxe-level resorts have slides (the Values do not). There are no height-restrictions on the slides, however, guests can only go down the slides 1 at a time and you can't wait at the bottom for somebody to come down. Because the slides dump into water that can be deeper, you'll want to make sure anybody choosing to use the slides are confident swimmers. Resort pools are a perk meant to be enjoyed by the guests staying at that particular resort. In order to ensure that resort guests are able to enjoy their pool without overcrowding, Disney only allows guests staying at that resort to use the pool. 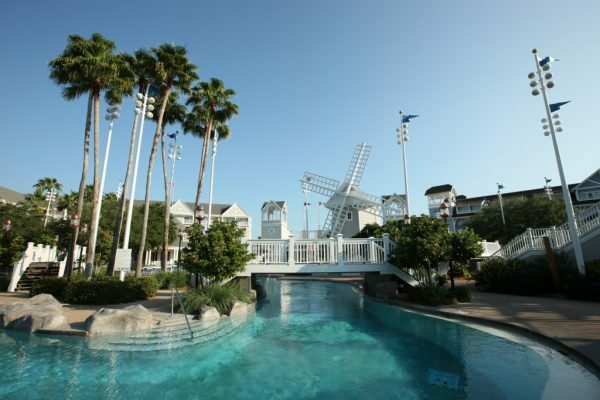 Guests staying at one of the All-Star Resorts (including All-Star Movies, All-Star Music, and All-Star Sports) are able to use the pools at any of the All-Star Resorts regardless of which resort they are guests. This same situation is true for the Port Orleans Resorts. Guests at both Port Orleans - French Quarter and Port Orleans - Riverside are able to use the pools at both resorts without issue. Disney Vacation Club (DVC) owners are sometimes allowed to pool hop, but only at other DVC resorts and only outside of scheduled blackout periods. On-site guests that have reserved a Cabana at either the Contemporary or Grand Floridian (more on that below). You may think you can pull a fast one on Disney and sneak into a pool at a different resort. In order to access many of the pools (including the ever-popular Stormalong Bay) you'll need to scan your MagicBand. If your resort doesn't match when you scan, you won't get in. Just because you aren’t able to use the pool facilities at other resorts shouldn’t prevent you from visiting the resorts for other reasons, though. Walt Disney World resorts are great for touring and taking some time away from the parks. 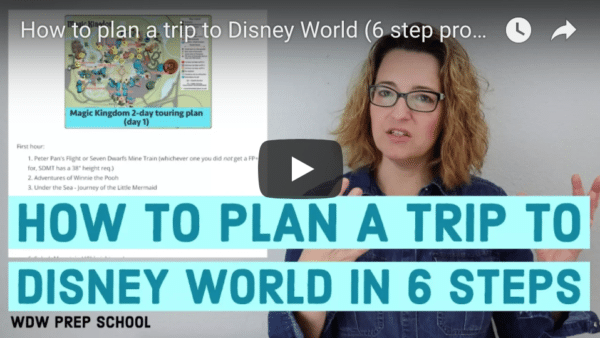 To see our suggestions for visiting the resorts, checkout our How to Tour Disney World Resorts (Even if You’re Not Staying There) post. Yes! You'll find life jackets available for free at all of the pools at Disney World. The pools at the Disney World resorts are open year-round, however, during inclement weather or when the temps are predicted to be unusually low they do close. The pools at Disney World are heated. Disney has said that they heat the pools to 82 degrees. The amenities provided inside the cabanas differs slightly from resort to resort and since the number of rentals is limited, is recommended that you reserve those ahead of time (up to 180 days) by calling 407-WDW-Play. All of the Disney World Resorts offer smaller toddler-sized pools and/or splash pads or they may have pools that offer zero-entry areas (which are perfect for little ones that just want to splash around!). Deluxe-level resorts do all offer towels at their pools. Moderate and Value-level, however, may not (it can vary from resort to resort). If you are staying at a resort without pool towels, you are allowed to bring your towels from your room with you to the pool. No. All of the pools have posted hours. During the summer/warmer months you can expect the pool to be open later into the night, however. Disney does allow floats and noodles purchased in their gift shops to be used in the pools. Items brought from home (outside of smaller-sized toys) are generally not allowed. Sometimes travel and flight schedules mean that you'll find yourself needing to arrive to your resort before the "official" check-in time or with time to kill after the official check out time. You can always leave your bags at Bell Services, if you'd like, but what if you'd like to use the pool (or other resort amenities)? Can you do that? The good news is yes! If you arrive before your room is ready or if you need something to do while you wait for a flight, you are welcome to use the resort pool, as well as the other resort amenities. If your plan is to use the pool on your arrival day and you are using Magical Express, make sure you pack your pool essentials in your carry-on bag. Suits, towels, sunblock, etc. are all things you'll likely need. And, if you are planning on hitting the pool before heading to the airport, don't forget that you'll probably need something to store your wet suits in so make sure you plan for that, too! Yes. There are typically a small bank of lockers available near the feature pool. Feature pools are the big, main pools. For Deluxe and Moderate-level pools these will be the pools with the slides, for example. The feature pool is also typically near the main building, often hosts activities, and frequently has music playing. Quiet pools aren't totally silent, but because there is no music allowed or the games and activities you find at the feature pool, they tend to be more adult-focused and, consequently, more quiet. The rules for Disney's 2 water parks (Blizzard Beach and Typhoon Lagoon) are a little different. You can find the facts on those below. So many great tips on all things pools at WDW. Thanks so much for sharing this info!